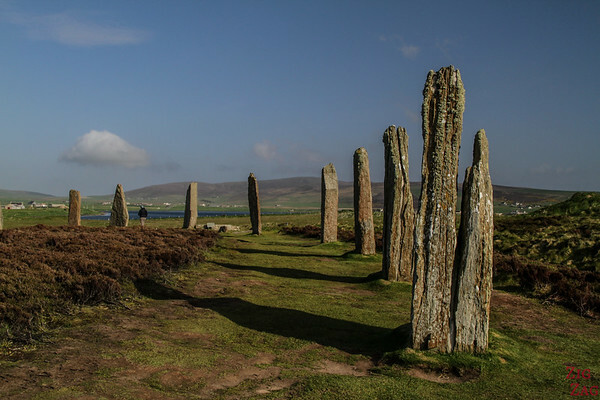 The Ring of Brodgar Orkney is one of the many iconic sites to visit on the Northern island. 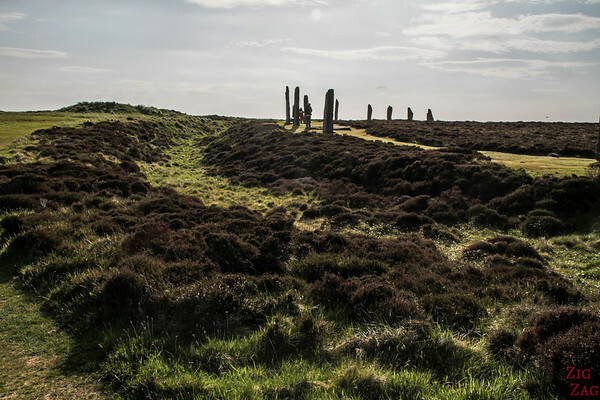 This Neolithic stone circle is locate on small band of land between Loch Sternness and Loch Harray. 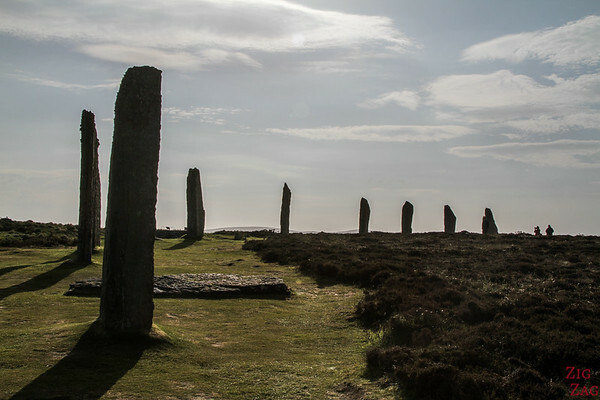 It is part of a central area designated a Unesco World Heritage site which also includes the ﻿﻿Standing Stones of Stenness. 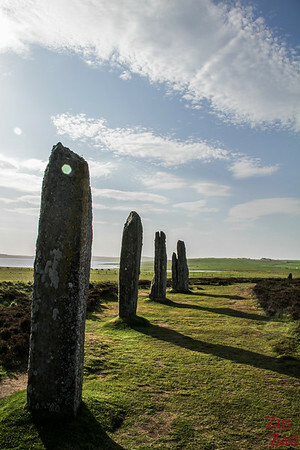 The Ring of Brodgar is one of the largest Neolithic henges (circular enclosures) in Britain (the most famous being Stonehenge). 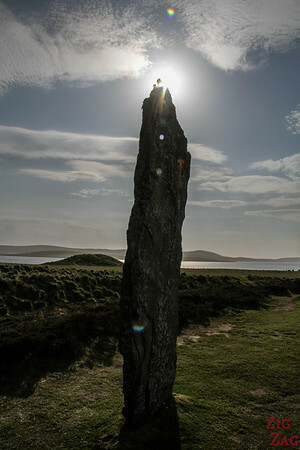 Archeologists do not know exactly how old Brodgar. 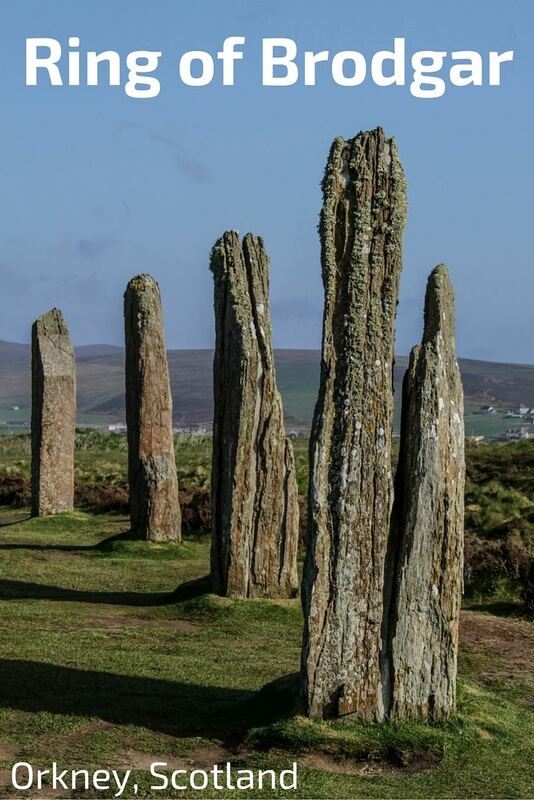 They think it probably dates to the late Neolithic period - between 4000 and 4500 years ago. 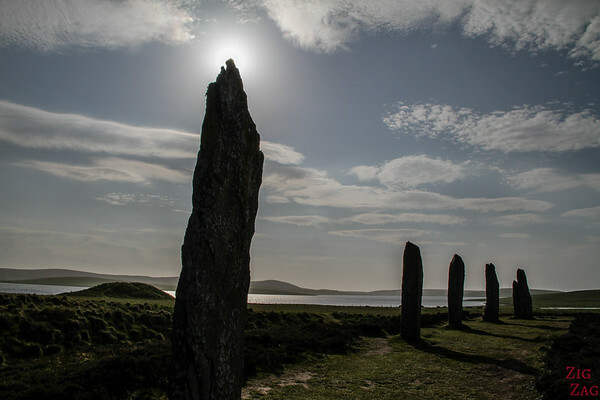 The Ring of Brodgar is part of the Heart of Neolithic Orkney with the Standing Stones of Ste﻿nness, the Skara Brae neolithic settlement and Maeshowe. 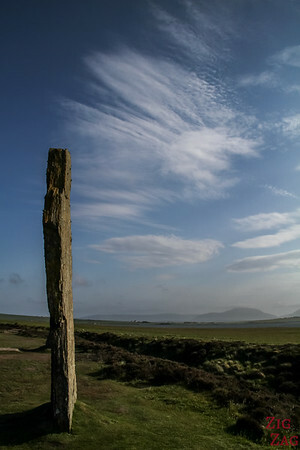 This site has Unesco﻿﻿ ﻿﻿World ﻿﻿Heritage﻿﻿﻿﻿ status. 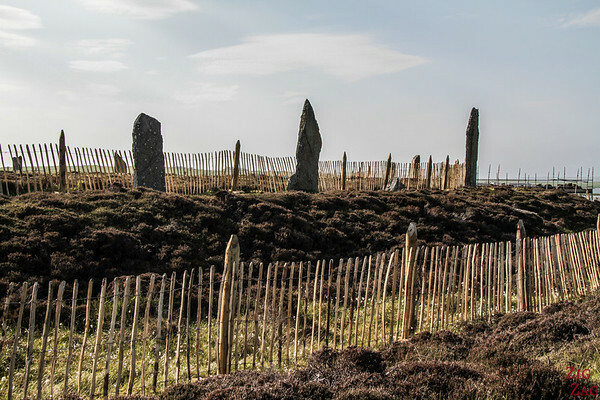 Those sites is the reason why Mainland Orkney is one of the most famous Scottish Islands. 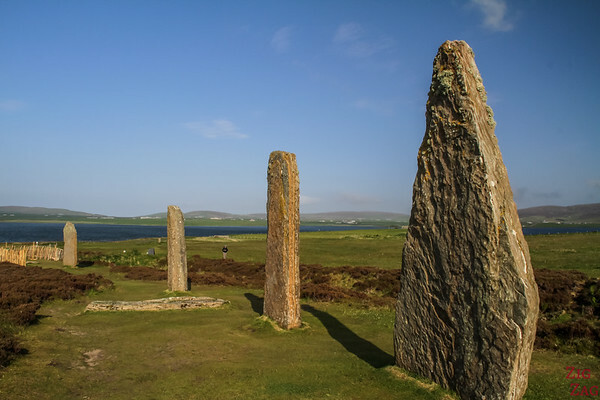 A path has been set up for easy access to the stones. Only 36 are still standing. 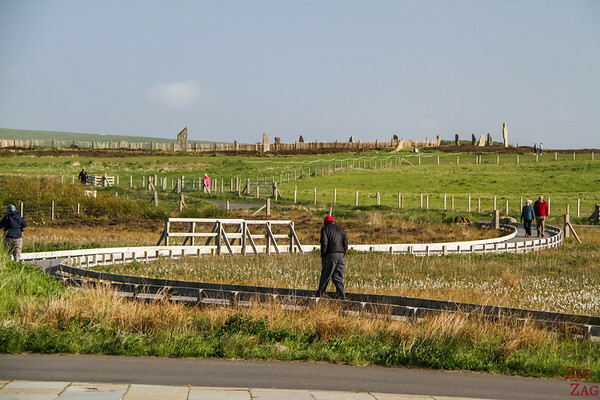 Barriers are set up around some of the stones to prevent degradation with all the people walking on the mound. 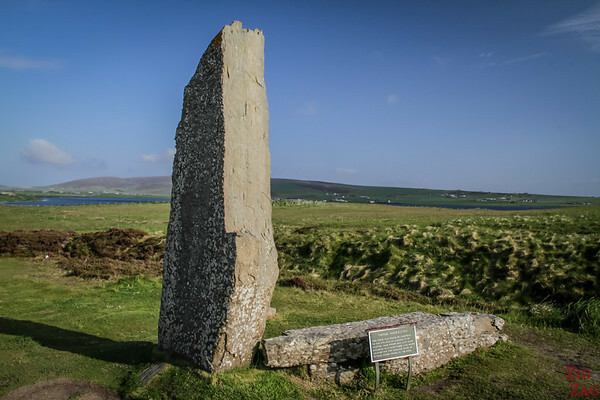 ​What was the ring of Brodgar used for? It is easy to understand why all those sites were built in that area. 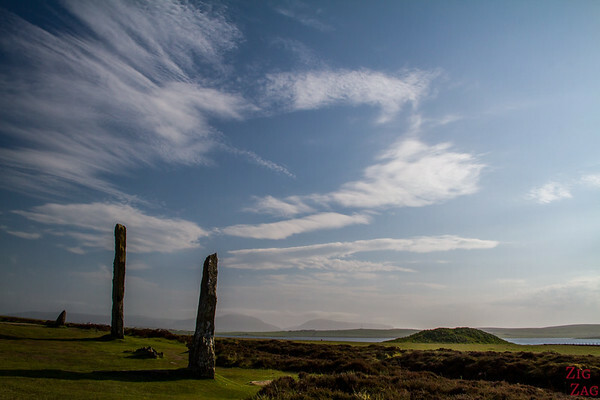 with the small hills making an amphitheater and the isthmus between the waters of 2 lochs, there is something magical about the location. 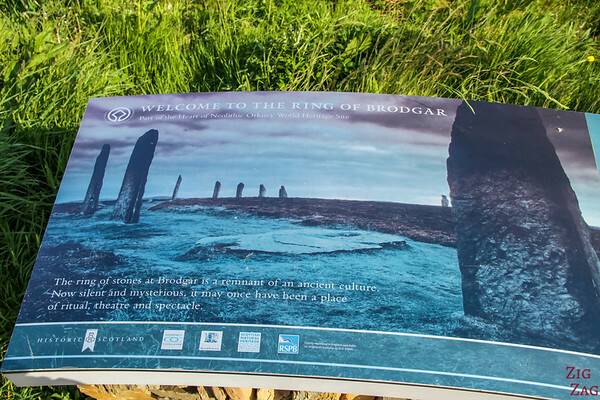 Before showing you more detailed photos of the stones, below are pictures of the Ring of Brodgar showing you the circle shape, the alignment of stones. 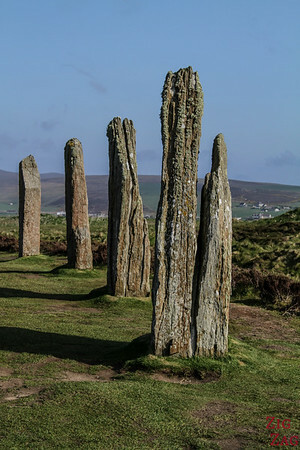 Below are pictures with people to show you the height of stones. 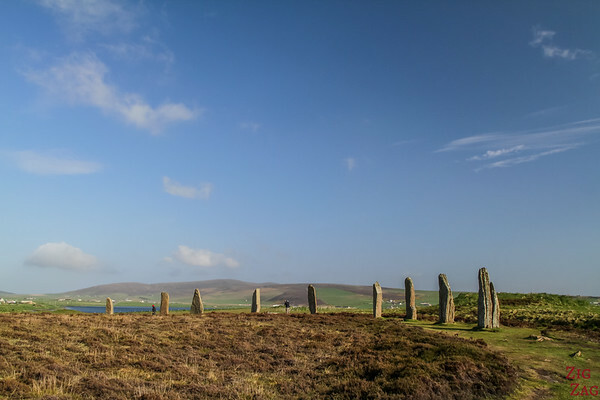 In terms of height the Standing Stones of Stenness are more impressive, but the circle formation makes the Brodgar site more fascinating. 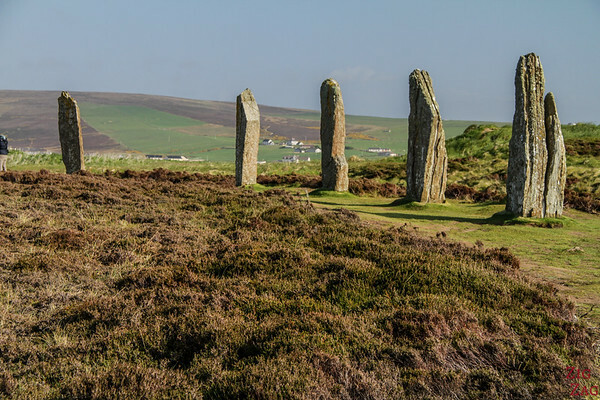 Do you enjoy old neolithic sites? 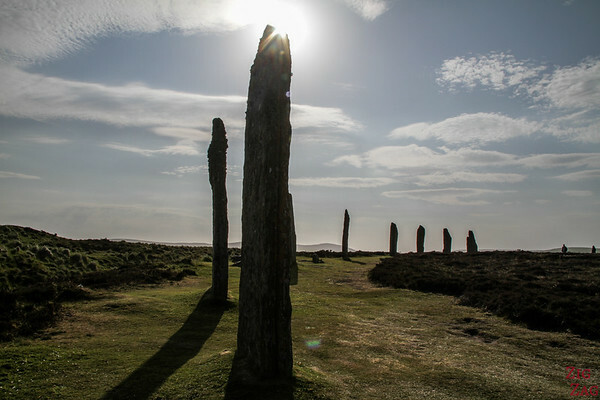 We may not be able to join an excursion from our cruise stop in Kirkwall in a few weeks, and therefore wondering if you can recommend a tour that we could do on our own or with another couple. We dock at 9am and depart at 4pm, so we could be available let’s say from around 10am until 3pm, but it doesn’t necessarily have to fill the entire time. Thanks very much for any recommendations that you might have. I think your best option would be to rent a car for the day. Things are so close that even with the wasted time renting, you can see all the main sites. 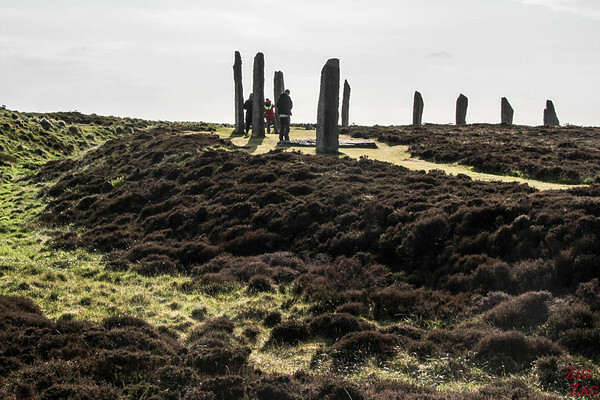 Driving to those sites is really easy. But don’t forget your International license!